Once you have found and purchased the perfect laptop or tablet, it’s important to keep it well protected at all times so that you can get the most from your investment. With the right case, you can protect your case in both wet and dry environments. When you are carrying something as valuable as your laptop, having the added waterproof protection can save you in unlikely storms or exposure to moisture. As is the case with a non-waterproof case, look for a quality item with sturdy fabric and hardware, a comfortable fit, adequate protection for your computer, and a tight seal to keep moisture away. You will want to find a case that fits your specific laptop size so that your computer can fit snugly in the case, without being too tight or flopping around. What Is a Waterproof Laptop Case? 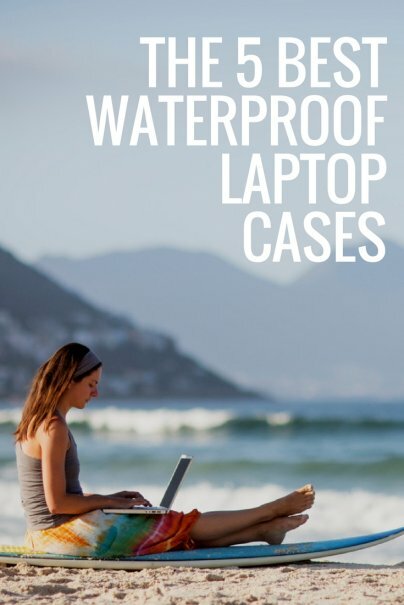 Whether you’re planning a trip to the mountains, walk to work in the rain, or just want to give your laptop extra water-resistant protection, a waterproof laptop case is a great investment to make. A waterproof laptop case can protect your electronics from moisture, conveniently transport your computer, and store your laptop when you aren’t using it. It’s the perfect solution when you are traveling, dealing with rainy weather, or just want to store and protect your computer from bumps. If you don’t want to have to buy another laptop again anytime soon, getting the right laptop case is the first step. The Aqua-Quest Waterproof Laptop Case with Padded Sleeve is one of the most highly rated waterproof laptop cases by customers on Amazon and independent review sites alike. Aqua-Quest is a trusted name in waterproof items and offers products that are designed to keep your items safe and dry. This case is 100% waterproof, extremely durable, and abrasion resistant, so you can take it on any adventures. There is also a padded sleeve insert for added impact protection. The exterior has a water repelling surface as the first line of defense. Take comfort in the watertight closure featuring a double zip-lock seal and additional velcro flap, which still allows you to easily get the bag open when you need to. For everyday use, you can easily close the bag and access your items with the full width velcro flap across the top. When you are around water or in extreme weather conditions, you can use the double zip lock seal, which will protect your computer even under quick temporary submersion. 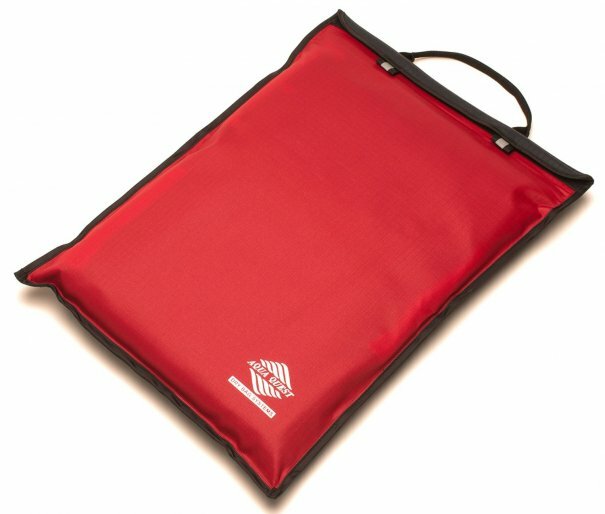 There are reflective tabs and logos for visibility and it comes in red or black and is available in 13", 15" & 17" sizes. This quality case is perfect when you are traveling or around moisture. You can also use the multi-purpose dry bag for important documents, or other valuable items that you need to keep safe. 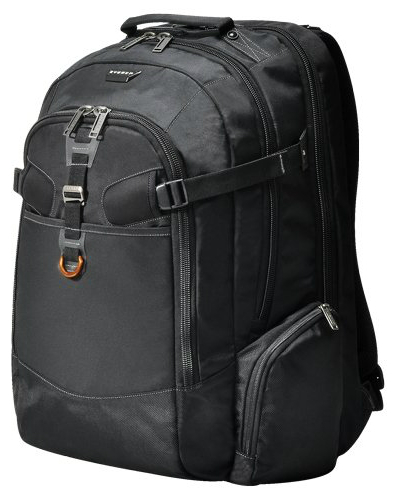 As the top rated item in Amazon’s laptop and netbook computer bags and cases, the Everki Titan Checkpoint Friendly Laptop Backpack is the perfect bag for traveling. In fact, it is even checkpoint friendly and quickly opens up 180 degrees so you can get through airport security checkpoints without having to remove your device. It has all the features and accents you could ever want in a backpack, laptop case, and travel bag, all wrapped up into one. The bag is constructed of quality materials and a water-resistant weather cover to protect against dust, rain, or snow. The 5-point balance strap system and fully adjustable chest strap evenly distributes weight for safer, more comfortable carrying, even with a full load. There is also soft padding on the shoulder straps and deep airflow channels to improve circulation. With this bag, you can transport your laptop, electronics, and any other travel essentials you need. The spacious main storage area has large, zippered pockets, dividers, and a front compartment with plenty of storage slots. There is an ultra-soft padded laptop compartment for up to 18.4" laptops, a soft fine-felt lined tablet pocket, a felt-lined top access pocket for small gadgets, and a surplus of pockets to help you organize your items. This also includes a separate accessories pouch for your wires, pens, and other essential accessories. This is also backed by a Limited Lifetime Warranty for your added peace of mind. This has overwhelmingly positive reviews online, as well as top mentions by independent review sites. 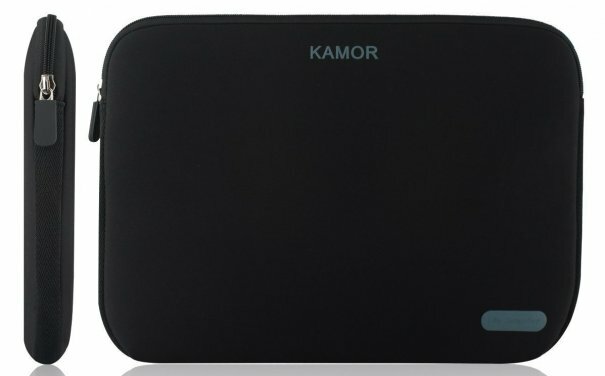 As one of the top rated waterproof laptop cases on Amazon, Kamor Water-Resistant Neoprene Laptop Sleeve comes in 11.6”, 13.3”, and 15.6” options. It is also available in a number of different colors to best suit your style. It offers a snug fit for laptops and tablets up to 15.6”. The case is made of quality materials, sturdy hardware, strong stitching, and a thick plastic zipper. The water-resistant neoprene material offers a lightweight design and superior protection from dust, shocks, bumps, scrapes, scratches, and spills. The slim-line design allows the case to be carried comfortably, or it can be fit in your favorite bag. The affordable case is also backed by a 12 month warranty for your added peace of mind. 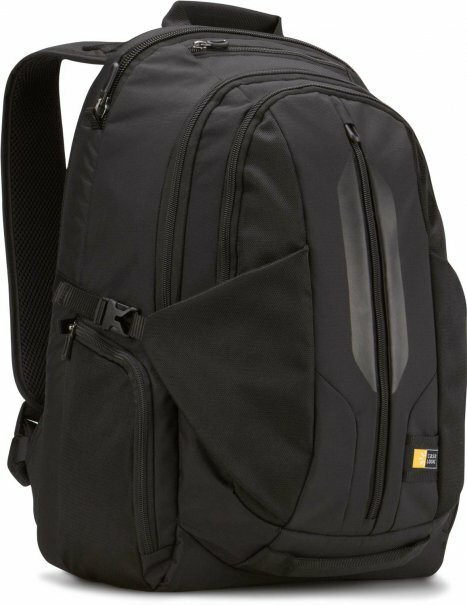 As one of the top rated waterproof laptop cases on Amazon, the Case Logic RBP-117 17.3-Inch Laptop Backpack with Tablet Pocket was declared one of the top waterproof laptop cases by eBay. You’ll enjoy full electronics capacity with integrated pockets for both a 17.3” laptop and a tablet. The durable, water-resistant materials protect this backpack from daily wear and tear, as well as moisture and unexpected weather conditions. The backpack consists of sturdy nylon and high density twill, and is treated with an elastic-polyurethane. Thick foam padding covers the straps, to protect pressure points in the shoulder blades and lumbar area for ultimate comfort, and the multi-functional compression straps keep the backpack comfortable. The pockets are lined with soft, quiet polyester so you can easily get your items in and out of the bag without bothering the person next to you. Designed to load easily into overhead bins and small spaces, with a tapered streamlined body plus top and bottom grab handles, this is ideal for traveling. You’ll find plenty of compartments, pockets, and storage options to perfectly separate your must-have items. And with so many compartments, you should have no problem storing everything you need for your trip. You can even store your sunglasses, phone, or plane ticket in the top-loading pocket for instant access. 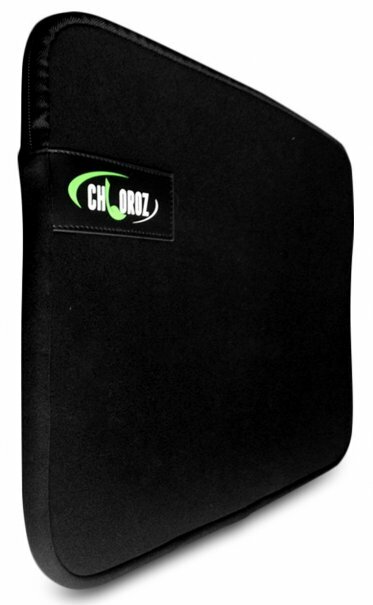 As one of the top rated waterproof laptop cases on Amazon, the CHLOROZ Neoprene Easy-Fit Smart Sleeve is roomy enough to fit your essentials, but will snugly protect any laptop up to 15.6” from bumps, debris, or damage with thick cushioning. There is also a top-loading zipper, so you can easily retrieve your laptop. The case is built to last, made of quality materials, thick stitching, and plastic zippers. While it’s very cushioned and soft, it’s also lightweight, making it perfect for daily use. The sleek, simple black design will fit any style and because the case is so slim, it can be carried on its own, or stored in your bag. The sleeve is also backed by a lifetime guarantee for your added peace of mind. And those are our recommendations for the best waterproof laptop cases. As always, be sure to check Wise Bread's Buying Calendar to learn when and how to buy just about anything!